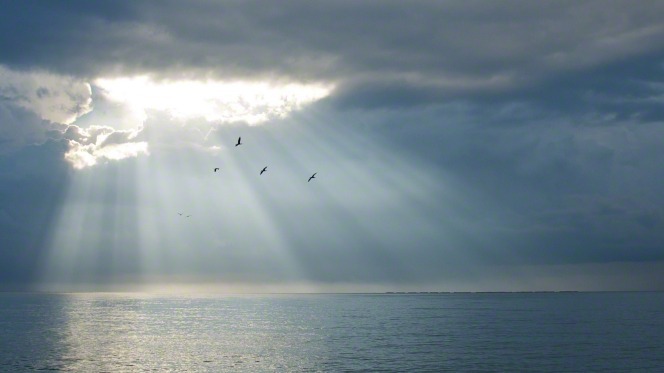 God’s Light Still Shines: an Easter Reflection. This is the abiding image I shall take from Easter 2019. 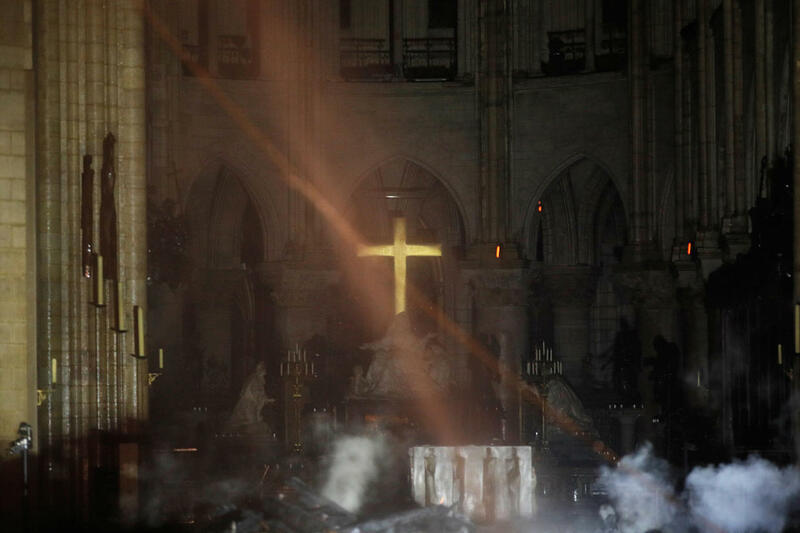 Amidst all the busyness of sorting Easter eggs for the little ones, baking the cake, arranging the Easter ‘tree’, I look up to see this amazing image from the ruined interior of Notre Dame, Paris. The message of Easter encapsulated : God’s light, love and mercy does not go out. It shines undimmed through the wreckage that surrounds us. A quiet hope burning forever bright. Today is a bit special on the blog. I’m doing something new and exciting! I’m handing my blog over to my very first blog ‘guest’. And it’s extra special because that blog ‘guest’ is family. The article below was posted by my son, Graham, Pastor at Lifespring Church, Wolverhampton, UK as part of his bi-monthly church family email, and I just love what he says about Jesus Himself embracing quietness, thereby endorsing the need to ‘build silence into our busy lives’. What greater validation can there be than that folks! Welcome to the blog, Graham! ‘It’s the Wednesday before Good Friday. A day referred to as ‘the Silent Day’ by students of the Easter narrative. This is owing to the fact that the Gospels give us a detailed analysis of Jesus’s every move during passion week, yet they are altogether silent concerning His activity on Nisan 13. (Wednesday). Where was Jesus? What was he doing? Jesus knew the enormity of the task ahead of Him. He knew it would require all of His strength and ultimately exhaust all of His natural life. Everything has been building up to this moment. All roads lead inexorably towards Calvary’s hill. With just a few days of His earthly mission remaining where do we find Him? Preaching to the lost? Healing the sick? Raising the dead? Remonstrating with the priests and Pharisees? This is no mere accident; this isn’t just dead air in the Gospel record. The scriptures being God breathed, this radio silence is intended. It has purpose, every bit as much as the activity recorded on the preceding and following days. In the most intense, busy and pressurised moment of His earthly existence … He took a day to Himself. Perhaps He spent time in prayer, walking out in the hills surrounding Bethany, steeling Himself in the Presence of His Father. Maybe He took some time to rest and enjoy some final moments with His friends who would soon be scattered at the Garden of Gethsemane. Scripture tells us that God has a mighty purpose and call for every believer. It’s true! There is a call of God on your life. He has given us these ensouled bodies as the vessel through which He will achieve these purposes. God’s call on our life can lead us into intense seasons of activity, where we are challenged and put under pressure. We must look to Jesus as our example in these seasons. Are we brave enough to have a Silent Day? Are we bold enough to go off-grid? To get alone with God, away from the notifications, away from the emails, away from our work? Will we allow our soul to feast on God? Will we allow our body a chance to rest? 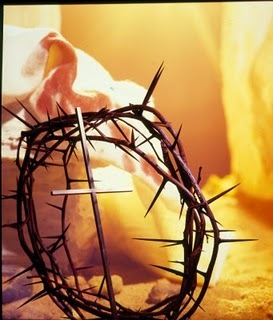 Thank you to Graham for allowing me to share this, and wishing you all a blessed, and peaceful Holy Week. This post is not about Trump. Or Mexico. Or Brexit. How you develop as a person. And ultimately, how happy and even how successful you will be. But you really need to be, because this is SO much bigger than Trump. The borders I’m talking about here aren’t between nations. These borders are our psychological boundaries. But, like the borders between nations, we’d better learn to pay attention to them, or we’ll very quickly run into trouble. So, Picture the scene…. A teenage girl standing in a cubicle at Munich airport, deliberately separated from her family, being frisked and questioned by an unsmiling German female security guard. 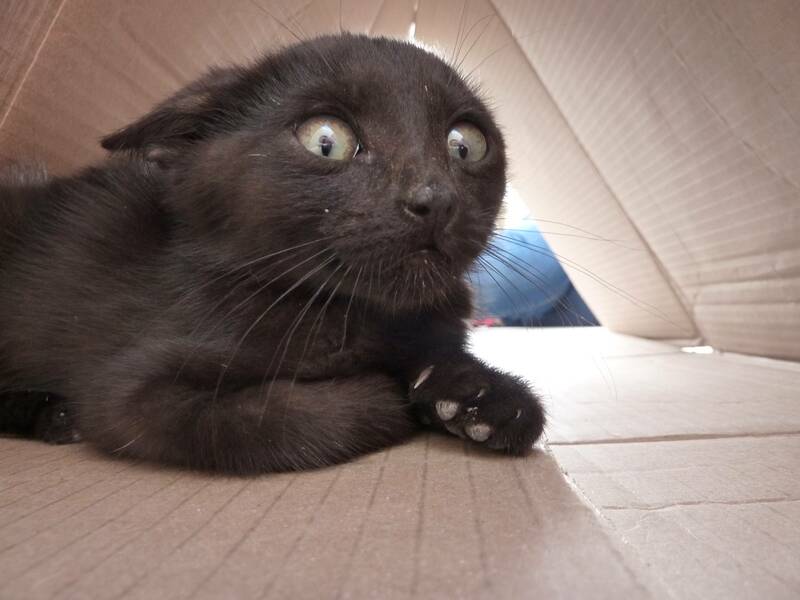 I’m feeling just a bit alarmed. Trying to look chilled. After a few minutes (it didn’t seem like minutes!) of checking my passport thoroughly, questioning me and (even more thoroughly) checking my clothing, I’m finally let through to join my family. So … What made me stand out as such a threat? Why was I seen as a potential danger? A typical teenager, I was pretty much wrapped up in my own little world: keeping up with fashion, music, being only vaguely aware of the outside world, etc, etc…. you get the picture. But this was Munich, and this was Christmas 1972. Only months after the Munich Olympics terrorist attack …. and (as a fashion accessory) I was wearing a fully-loaded (fake) bullet hip belt. Even today, decades later, I still feel ashamed owning up to this. 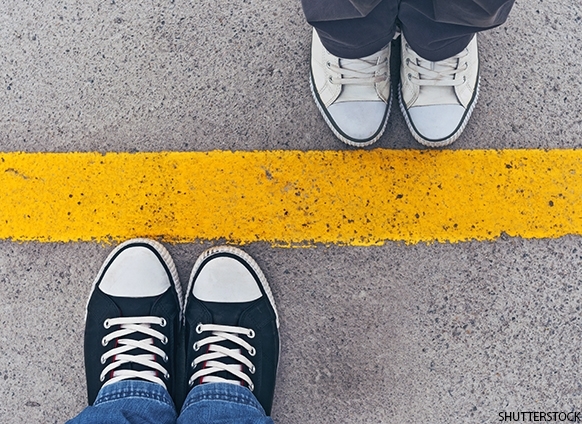 Psychological boundaries have a lot in common with national borders. We need borders to keep us safe. Not everyone who wants ‘in’ is harmless. We know this. Checks are necessary. We need to man those borders responsibly. Borders tell us where one ‘territory’ ends and another begins. They tell us that the customs, beliefs and laws might be different as we cross the border, and that we’d better respect that or there’ll be consequences. Border control tells us that we don’t get in until we and our passports have been checked and we are deemed not to be a threat, and given ‘permission’ to cross over into another country. We can’t just barge in. Trespassers will be held to account. The same applies to our individual psychological boundaries. I am my own ‘country’. A healthy psychological border is not the kind of Paul Simon ‘I am a Rock’ border wall; that defence mechanism ‘fortress deep and mighty’, built by a hurting soul to keep out love and attachment. That kind of border is impregnable. It lets nothing in, because to the one who built it everything out there is dangerous. There is no safety. No interaction. It isn’t actually a border. It’s a prison. A healthy border is different. It’s flexible, but there are rules. They are consistent, and I get to make them. ( eg. If you disrespect me, I will keep you at a distance. If you respect the rules, you will be welcome). My border, and its’ rules, are there to keep me safe. And that’s a good thing, not a selfish thing. I do not have to please you if doing so puts me at risk. And that’s ok.
Having a psychological ‘boundary’ isn’t just about SAFETY though. When I leave the UK, and travel into France (for example), I know I’m not in Britain any longer. The language is different, the food is different, (the coffee is better!). The customs, practises and laws of the land are different. 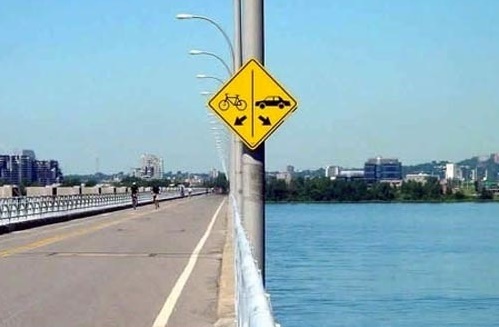 (Better remember to drive on the right). it informs me that you are not me, and I am not you. We are separate and distinct individuals. Well, for example, you might ask me to go see a gangster movie with you, and I decline because I’m really not into gangster movies (See ‘About’!). We’re both fine with that. So you go see the movie with someone else, and we plan something different for the two of us. In this scenario, we are respecting each others’ boundaries, and this is how good relationships work. But If you ask me to go see the gangster movie, and I say I’m not into them, but your reaction makes me feel guilty, or maybe I want to impress you, or fear what you’ll think of me, so I give in and go …. then I’m not manning my border well, and I’m throwing away and not respecting my self-identity – who I am. Simple example, but you see how this works? If you’ve read thus far, and all this sounds a bit ‘me first’ and selfish, well then maybe you do have a border issue to resolve. Quiet people often do. I know I did! *Continually questioning your own decisions and value judgments, seeking others’ validation or ‘permission’ to act on them. *Always taking the line of least resistance in social situations. *Having difficulty saying ‘no’ when you want to. This is not a happy, or a healthy, place to be! Well, it seems to me that part of the cause is nature, and part is nurture. As introverts, we tend to be conflict-averse. It’s easier not to ‘make a fuss’, thus avoiding the drama of disagreements or the discomfort of asserting ourselves. We appear easy going, but we might be feeling inwardly very conflicted. Not engaging in disputes means we don’t gain experience at doing it well and in a non aggressive way, and so when we do explode … My, we explode! As introverts, we tend to process slowly. Often we land on the perfect reply to something way after the event. It takes longer to think of the why and how of saying ‘no’, so we end up allowing all sorts of things into our lives that we really don’t want there. What about the nurture bit? Well, that’s a bit more complicated. It depends on whether your experience growing up was one of being affirmed and encouraged as a quiet person, of having your boundaries honoured, or of being shamed for being ‘shy’ and nervous in company. It may be that you were pushed (rather than encouraged) to join in and play with other children before you felt comfortable. It may be that your need of solitude and down time was disregarded, and you were told that your gut feelings about many things were ‘silly’. None of this needed to be malicious, but the effect it had was TO MAKE YOU DISTRUST YOUR OWN FEELINGS AND DESIRES. That you needed to be more like others. More outgoing. And so, you’d stifle those thoughts and feelings and preferences, which were in essence ‘the real you’. In time, you’d even forget what they were. They’d emerge as vague feelings of unease when someone or something threatened to stride roughshod over your personal boundaries, but the vague unease didn’t tell you anything clear or useful. In any case, it felt too much like the social nervousness you’d spent years being schooled out of. So, yeah, you’re going to ignore it. You’ll let all sorts of things and people into your life that that instinct tells you you don’t really want. There’s a huge difference between moving out of your comfort zone (something we all need to do occasionally to grow), and letting unhealthy and sometimes dangerous relationships and practises into your life because you’ve been schooled out of your safety responses. We need to know the difference! Because, potentially, this is a very dangerous place to be. 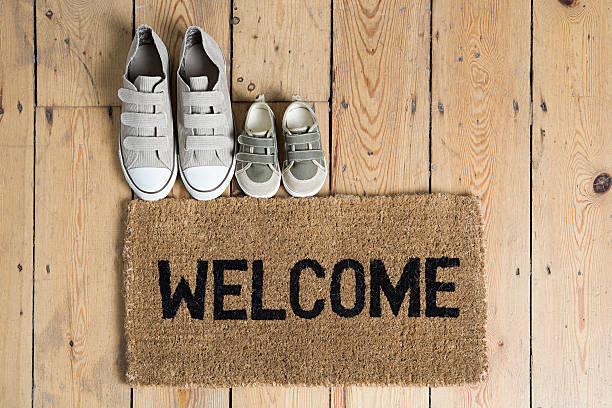 We could be laying out the welcome mat for all sorts of toxic tenants – Hello, codependency, enmeshment and abuse. We really need as introverts to be checking our gut feelings and learning to tell the difference between ‘I really want to do this, but I’m feeling anxious’ and ‘I really don’t want to do this, but I’m feeling pressured’. The first is (natural) nerves. The second is (imposed) guilt. If that’s been you and you recognise that : how do you get back to you? How do you reclaim yourself? How do you build a border, and how do you man it? These are big questions, and worthy of more than a brief blog post, but every journey begins with a small step. And life in the end is all about small steps. So here’s some starters…. EXPLORE. Know who you are. Be a detective. What do you love? What’s non negotiable to you? What would you change in all the world if you could? What are your values, beliefs, passions, ambitions? Write them down. Know them well. OWN those qualities that make you you. They’re the building blocks that you use to build your life. You are the architect. No one else has the plan. No one else can be you. If you don’t live your life as you, the plan goes to waste. PRACTISE building the border, on your own, in front of the mirror, with trusted friends, in therapy, whatever works for you. Learn to say ‘no’ graciously, but firmly. Justify saying ‘no’, so that you can say ‘yes’ fully to your chosen priorities. There is only so much space and time in your life. Make sure you pack it full of the things that matter to you. Days full of shopping, baking, writing Christmas cards, bankrupting yourself to stash enough food in the house to feed the five thousand, (Uncle Frank included) who will descend like locusts on your house come Xmas day. Advent can feel a bit like the ‘plain-Jane-forgotten-relative’ of Christmas, brought out of the shadows only to dispense chocolate goodies behind numbered doors in the lead up to Christmas : ‘The REAL Event’. Poor Advent, always the bridesmaid, never the bride! 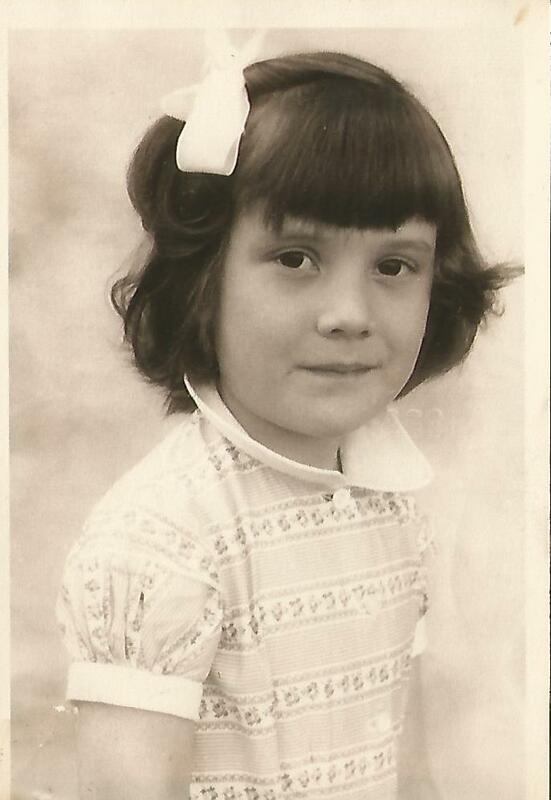 When I was a child, my mother would put us down to rest in a darkened room before our birthday parties. Far too excited to sleep, it felt like wasted time! My mother knew though that this ‘time out’ would calm us down, enable us to enjoy the party more. Without it, we were scratchy, over-excited. Tired and irritable. Advent is a bit like the ‘rest’ before the party. But there’s a hidden magic to Advent; a magic you can’t find until you take off the gaudy wrappings of frenzied seasonal busyness. Traditionally in the Christian calendar, Advent (deriving from the Latin, meaning ‘Coming’) begins on the fourth Sunday leading up to Christmas Day, and is a time given for preparation and reflection, not only on Christ’s birth in Bethlehem, but also traditionally on His Second Coming. It often included fasting, and certainly prayer. It was ordained as a quiet, introspective time, where we go on an inward journey to prepare our hearts for celebrating the Coming King. 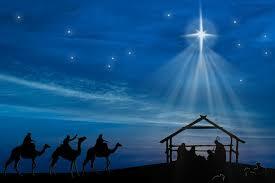 The days preceding the Biblical account of the Nativity were days marked by reflection and journeys too. Mary pondering the angel’s message, Joseph coming to terms with life-changing news, the unexpected journeying to Bethlehem, the shepherd’s journey to the stable. And later on, the journey of the Magi. Advent is all about preparing for journeys, some planned… some unexpected. Getting ready for something big, some ‘sea-change’. Physical journeys certainly, but spiritual journeys too, where the time of reflection ushers in new insights, new hearts and minds to take into an unknown future. This year I’ve come to appreciate this ‘bridesmaid season’ a little more. I’ve come to see that it’s about preparing my heart, and not my larder, for the coming days. This year, I want my days stripped back, marked by simple gifts and simple pleasures, good friends and family times. I’ve taken a step back, moved into a quieter place. I’ve said ‘no’ to a lot of things, and I’ve felt better for it. Last year you see, Christmas didn’t really ‘happen’ for us as a family. In mid-December, my mum (whose body, but not her mind, had been failing for a while) suddenly became unresponsive, and she passed away peacefully on Boxing Day. Our Advent then WAS passed in waiting, but not in hope or in ‘Expectation of News of Great Joy’, but in that awful no mans land, holding vigil and waiting with sickness of heart, not for a longed for birth, but a dreaded departure. Each day, we would spend time at her bedside, playing the music she loved, talking to her, praying with her, doing her hair, applying hand lotion or her favourite perfume, reading her stories, and I think for each of us, we were preparing ourselves for an end we knew would come. It was a painful, difficult and exhausting time, but, strangely, not one without its mercies. Those long days gave us the gift of time, the grace of being able to be ‘present’, time to prepare ourselves, to reflect, time to say and do all we could for her. Time was given us to use the best way we could. Not everyone has that and I now see it as a blessing, and I’m grateful. Time is often given us, not to DO, but to BE. To allow things to develop and GROW in us. And growth always requires undisturbed time. I love it that life itself, and the turning seasons teach us about the values of Advent. They tell us, as the nights grow darker and the air colder, that it’s time to slow down naturally, to go into ourselves. To nurture the reflective, the spiritual, the creative. We’ve lost touch with this. Our lives are no longer in sync with the seasons. We feel obliged to ‘keep going’ 24/7. Life can sometimes feel like a non-stop carousel we can’t get off. It’s winter. My garden stops growing, stops (thank heaven!) 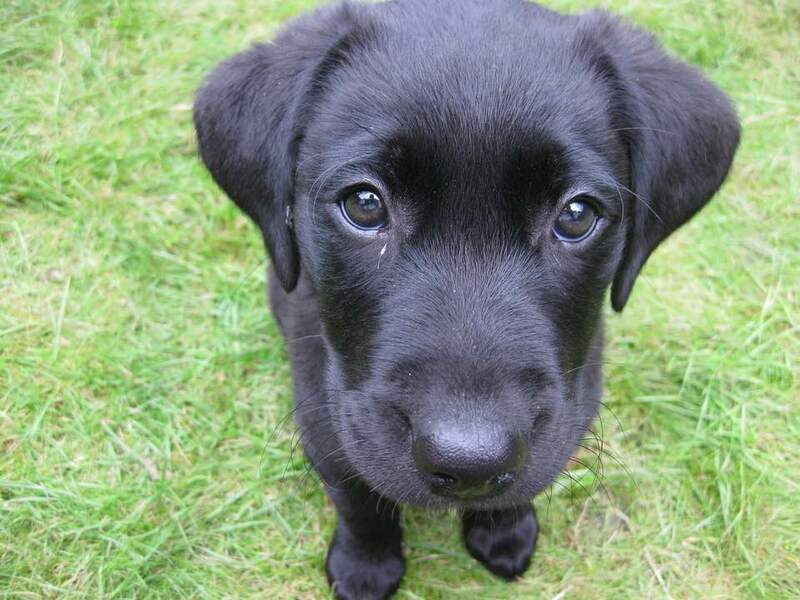 needing my attention. I’m barely home from work and have to draw the curtains and though it’s only eight o clock, I want to hunker down. I’m content to sit in a pool of light from the standard lamp, wrapped in my dressing gown, quietly reading a book. 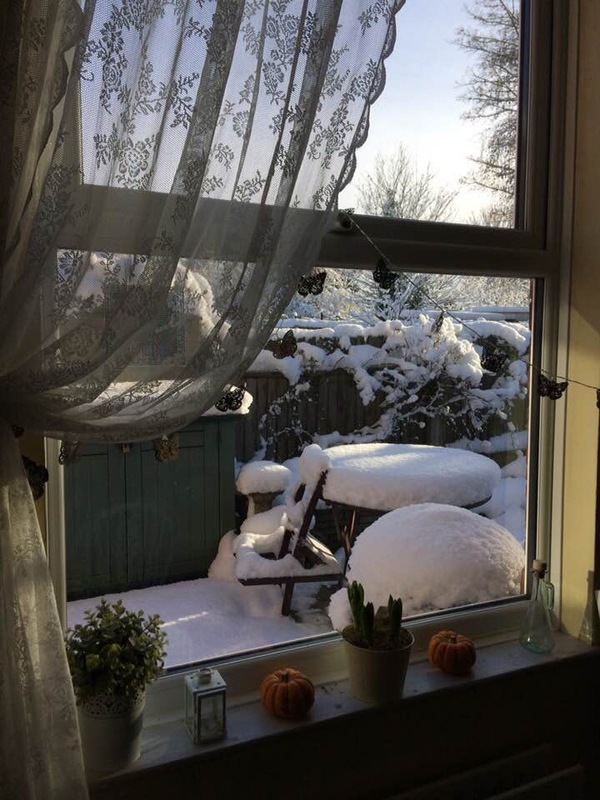 I have no wish to venture out. The whole world seems to be sleeping. Animals retreat to hidden dens to sleep away the winter. 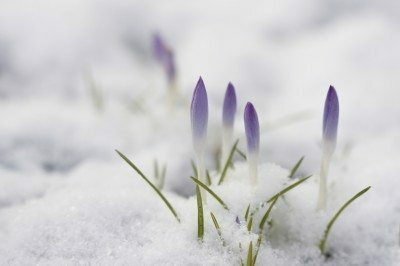 Life is ‘sleeping’, storing and conserving energy for the spring, when conditions for growth will return and new life, new shoots will appear. We know this, because predictably, year after year, we see it happen. Black bears don’t even wait for Spring. They give birth in the depths of winter, WHILST hibernating. Odd as this seems, it makes perfect sense. Whilst the mother bear is asleep, she isn’t expending the energy she will need when she awakens to tend to her cubs. Sometimes life begins where we least expect it. it’s a season for quiet incubation, a time for re-assessment and re-grouping, of storing energy for the days ahead, preparing for the next stage of our journey, of drawing strength to enable the growth of new seeds, new life. And that can only happen if we give ourselves permission to withdraw from the hustle, allow ourselves time to reflect; time to incubate and create, time to listen to the still small voice, that brings the gifts of creativity, revelation and inspiration. I love that winter hides her treasures… that you have to dig for them. It truly is the introvert season! There is a time for all seasons. A time for life and a time for death. I had heard that people nearing the end of life often sense that they are getting ready to go on a journey. I was fascinated, but more than a little sceptical. But as her health began to decline, my mother did sense that she was about to go on a journey. Ever practical, I didn’t make the link, and reassured her that she wouldn’t end up on the hospital ward again (her one fear). In those waiting days before she passed away, we were given time to understand. We were able finally to reassure her that her train was waiting in the station; that she had her reservation. She only had to choose her time to get onboard. So, for those who go into the Christmas season this year with sadness in your hearts for loved ones gone this year, trust the turning of the seasons. 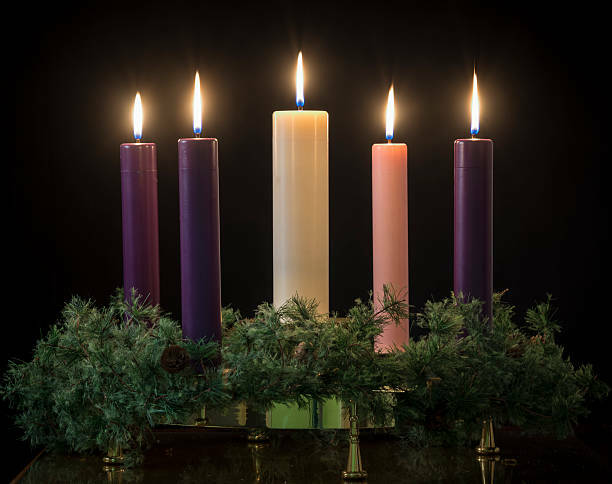 Embrace the lesson of Advent and get quiet, step aside, take strength for the journey onwards. Allow the still small voice room. The seeds will, in time, begin to grow again. And Spring will return. Just as it always has. Revealed: The scariest thing on the planet..
Ok, who’s scared of spiders? It’s ok to admit it… most of us are. It’s deeply ingrained in our psyche. I’m lucky to live in the UK. 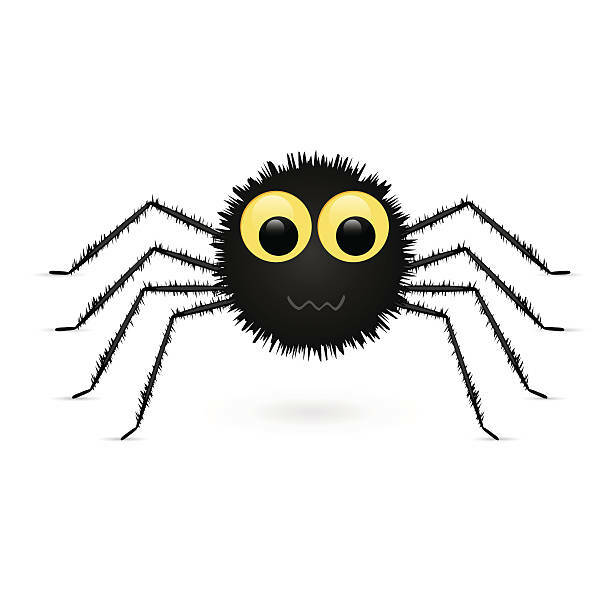 There are no indigenous dangerous spiders, but …..
encamped all over the garden, and emerging from dark lairs in the furthest recesses of our old Victorian house. Coming down to the kitchen late at night, I turn the light on, and there it is…. the Arnold Schwarzenegger of arachnids – a hench, black, obscenely large house spider, flexing his hinged legs at me. My heart lurches. I feel sick. Now, let’s face it….I am GARGANTUAN compared to this spider. There is no sense or reason in my response, but hey! Who’s the one doing a fairly good impersonation of a banshee? (Hint: Not the one with eight legs). Decades of superstition, horror movies and cultural repulsion underpin my instinctive reactions. Reason and years of education go out the window. The Reptilian Brain runs amok. The good news however is that I’m getting better at dealing with spiders. I’ve got this nifty little bug catcher that they can’t see coming. It traps even the biggest spiders and releases them safely into the (neighbour’s!) garden. I’m braver not because I’ve had therapy for arachnophobia, (helpful as that can be), but because I’ve forced myself to observe them and their habits. I’ve realised that they’re actually quite helpful (getting rid of flies etc), and that however much my stomach turns when I see them, they really won’t harm me. I’ve got to know them. The reality, not just the myths. I’m learning to live with them, and not give in to the stereotype. I’ve realised that fear often gives way in the face of knowledge. Ok, but this is a blog about introverts – so what have spiders and Introverts in common? Well, quite a bit it seems. We (like spiders) like to disappear off regularly to our hidey-holes. We don’t tend to hang about in gangs (I’m not sure what a ‘gang’ of spiders would look like, but I don’t think it would be pretty). Of course we don’t usually eat flies or possess eight legs, but analogies can only go so far …. But, like spiders, there are preconceptions around Introverts out there too, making us seem ‘dangerous’. You don’t have to look very far to find them either. Ever noticed how often media reporting of some terrible crime cite the perpetrator as a ‘loner’? Someone who ‘kept to him (or her) self’, ‘quiet’ ‘withdrawn’. “It’s always the quiet ones …..”. Ergo – all serial killers are introverts, therefore all introverts must be …. you got it! it’s simplistic reasoning sure, but it’s simplistic logic that breeds prejudice. It’s faulty logic for so many reasons. Not all killers are introverted anyway. Some are, some aren’t. There is no correlation between personality preference on the MBTI scale and a tendency to kill. The type of withdrawal exhibited by some who have committed atrocities is often a symptom of paranoia and deep-seated mental health problems … very different from the introvert’s love of and preference for quiet spaces to think and incubate ideas. 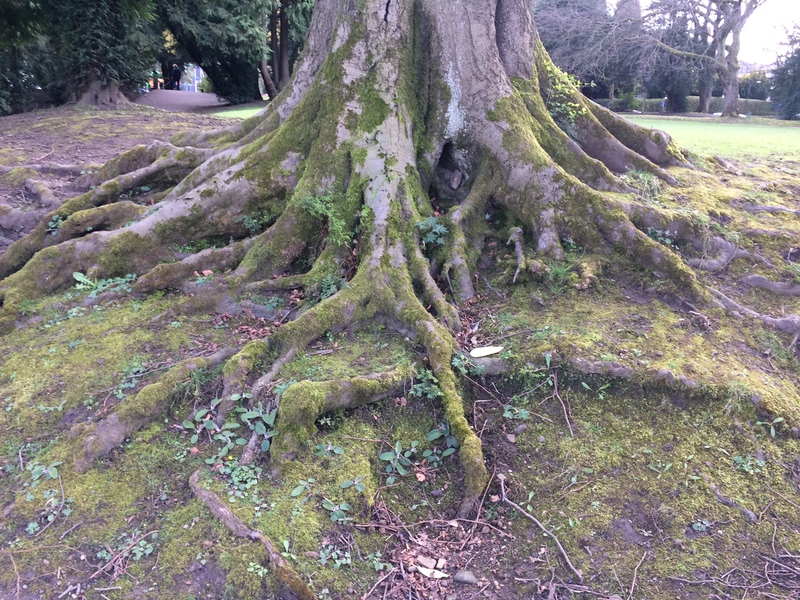 Superficially, They may look similar but the roots are very different. Introvert or ‘thinker’ stereotyping goes way back too. Enter Shakespeare’s ‘Julius Caesar’. The conspirator Cassius is ‘a dangerous man’ because ‘he thinks too much’? It seems to many of us that those who opt out of thinking are generally far more dangerous for our civilisation than those who question, analyse and research honestly. Sadly, history throughout the ages testifies to the fear, suspicion and paranoia that ‘thinkers’ can generate around ideologies that feed on ignorance and prejudice. Such stereotyping needs to be countered wherever we find it. We need to reclaim the term ‘introvert’ as simply (and only) a personality preference, not a pathology. We have to strip it of its darker undertones. I might return to this in a future post…. in more detail, and more seriously, but for now … I’d love to hear your thoughts or stories. What kind of introvert stereotyping makes your hackles rise? Do you find it ‘dangerous’ or just mildly irritating? How do YOU challenge it? Share your thoughts in the Comments! The Magic Behind Creativity …. and Why it Needs Protecting! As a child, I was a prodigious daydreamer…. a GOLD MEDAL WINNING daydreamer! This often got me into trouble. Resulting embarrassing stories became part of our family folklore. …. Or the time (aged 20) when I took the bus back home from shopping in town because I had ‘forgotten’ I had a car! ‘Dolly Daydream’ was a common pseudonym. Not one I liked. To me though, daydreaming was never a waste of time….. Wherever I was, however tedious or boring, (dentists waiting rooms, visits to great aunts) I had the patience of a saint! – I could escape somewhere more exciting in my head, incubate ideas, imagine other lives and outcomes. I was never bored. Like Alice, I could bolt down my daydream tunnel in pursuit of countless white rabbits whenever I wanted. 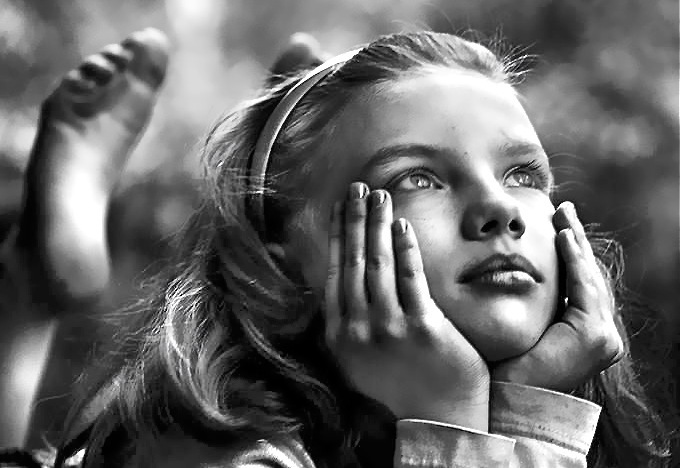 As a child, that daydreaming often led to creative ideas too. Lots of story-writing and poetry (in varying degrees of merit and awfulness). 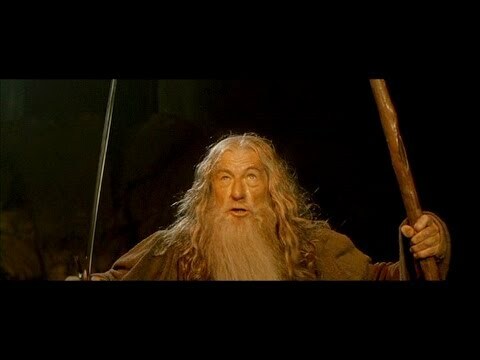 On long car journeys I was never one of the “Are we nearly there?” brigade. I often preferred the journey to the getting there. I could think, uninterrupted, let my mind wander wherever it wanted to. The upshot was often an urgent shout-out to stop at a petrol station an hour into the journey to buy a notepad and pen because I had ‘a story coming’. Those stories were always better than the ones I had to write during timetabled school ‘Composition’ lessons. However this tendency was rarely seen as positive by those around me. a reason to be teased, an eccentric (though endearing) habit I ought to be schooled out of; dragged kicking and screaming into the harsh glare of ‘The Real World’. Naturally, I got to feel embarrassed about daydreaming. And yes, at times my daydreaming did leave gaping plot holes in the everyday drama going on around me, but the story in my head always seemed so much more engaging! So, as I grew up, I tried to squeeze myself into an acceptable ‘Practical Persona’. I began to avoid situations where I might daydream. I tried very hard not to be seen to be ‘wasting time’. I learned how to be productive. I learned to quash the urge to daydream. The 9-5 grind, bringing up children and the maintenance of everyday life tend to drive it out anyway. However…. I also stopped up the well of creativity that was my birthright. That stopped me in my tracks.. SOMEONE JUST WALKED OVER MY GRAVE. “Take your creative side seriously. Give it your time, give it nurture! Don’t dismiss its’ callings like a child you haven’t got time to play with because you need to do the ironing. Does it sometimes feel in life as if you’re pulled in opposing directions? …. Towards Duty, Tasks, Responsibilities; the ‘world out there’ …. and a creative pull that feels playful, (sometimes irresponsible), joyous and free, but demands paying attention to the ‘world in here’. 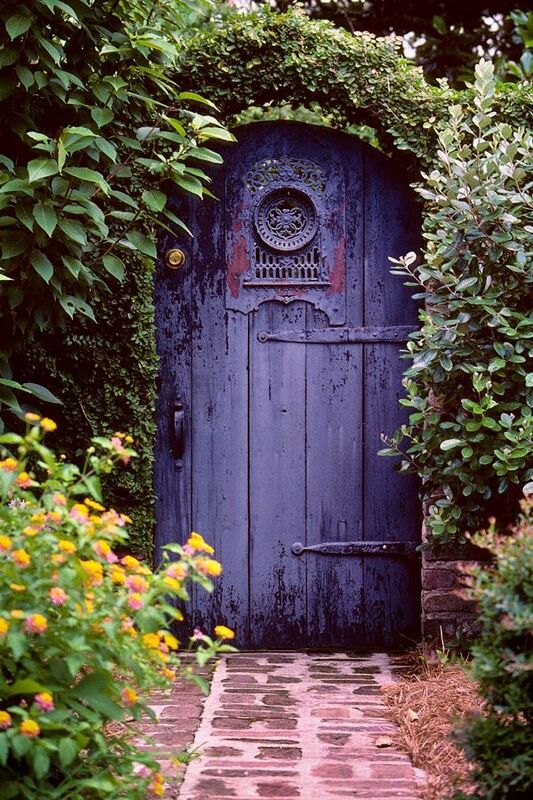 (Where we introverts tend mostly to live). Can you guess which side normally wins? Yup… the duty, tasks, responsibility, ‘world-out-there’ one! Because its’ demands are RED HOT! Ignore them and the tax man is at your door, the children go hungry, the rent isn’t paid. Ignore the ‘world-in-here’, and no one dies. Except maybe you, or your soul , a little more each day. We see time as a commodity, a resource to be well used. We say we’re ‘killing’ time when we’re not being purposeful, as if the point of all time given to us, (indeed of all existence) is PRODUCTIVITY (measurable productivity). We were born to be productive surely, to be purposeful … intentional. To do works of relevance and note. We can hardly argue with that can we? Being SEEN to be busy signals value and significance. We march unthinkingly to the tune of the Productivity Police. Maybe we weren’t created to be PRODUCTIVE, maybe we were born to be CREATIVE. A factory assembly line can be productive …. but it doesn’t deliver the Mona Lisa! Maybe we need to tweak the concept of ‘valued output’ in our lives. My ‘output’ can’t be measured in the same way as that of my wrist watch. Never missing a beat. My watch is designed for one purpose and one purpose only. To tell the time. It’s a machine. But we are not machines, we are living organisms. Our “purposes” are many and complex. Unlike machines, We don’t run regularly to the same pace. We follow unseen inner rhythms. An efficient machine wouldn’t be designed for a quarter of its working life to be on ‘re-charge’ as we are when we’re sleeping! That’s inefficient. It’d be scrapped. Quite apart from the sleep we need, research suggests that we are only fully ABLE to focus productively for around 90 minutes before we need more down time. And this ‘slack time’ is not a luxury bolt-on that we should be able to do without. Neither is it ‘recharge/recovery’ time. It’s ESSENTIAL if we are to be fully productive, fully creative. It seems as if that is when our brain is able to process the input. It does this when we’re asleep … and (more interestingly) when we’re ‘idling’. No rest, no productivity (or creativity). Simples. The problem is that we tend to regard our need for rest and sleep as a necessary evil. We forget that we are organisms, not machines. We confuse productivity and creativity. We’re developing hothouse lives, without deep roots. And who do we hurt most if we shame out daydreaming, quiet reflection, pottering and ‘time wasting’? Introverts (because it’s our life-blood!) – and introverted creatives in particular. There’s been a lot of interest recently into what specific environments and behaviours FEED creativity. And what’s coming out of that research is really exciting. Baird & Schooler: ‘Inspired by Distraction: Mind Wandering Facilitates Creative Incubation’ in Psychological Science. ‘Wired to Create: Unraveling the Mysteries of the Creative Mind’ (Kaufman & Gregoire). ‘Idling.’ …. or mental ‘pottering’ whilst we’re engaged in a task that doesn’t require too much effort or concentration, (like going for a walk or taking a shower.) It seems this non-specific, non-analytical focus is what helps us to process information, think outside the box, play with creative alternatives within a non-pressured environment. 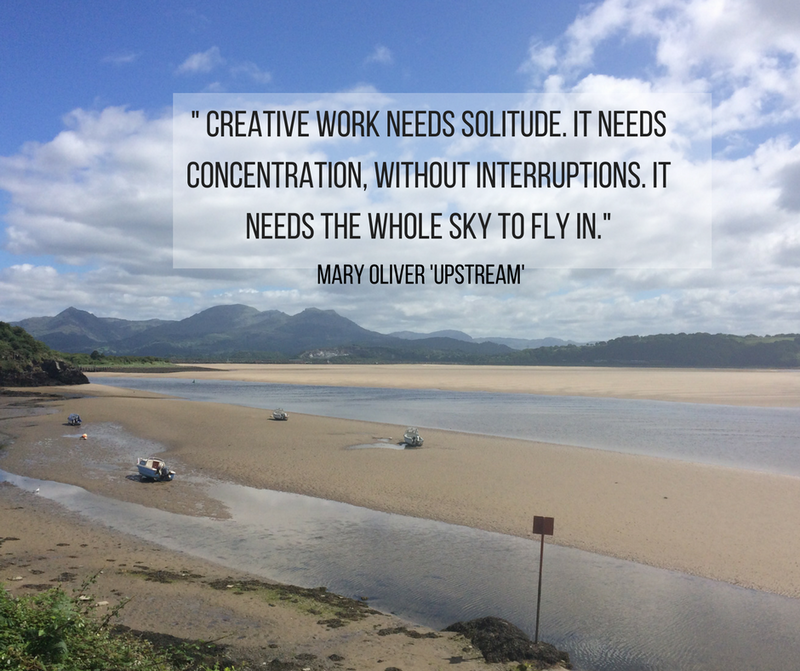 ‘Solitude’ – to prime the creative pump requires occasionally shutting out the world! It involves being solitary, alone. In their recent work ‘Wired to Create’, authors Kaufman and Gregoire cite ‘solitude’ and ‘daydreaming’ among the ten defining attributes of highly creative people. 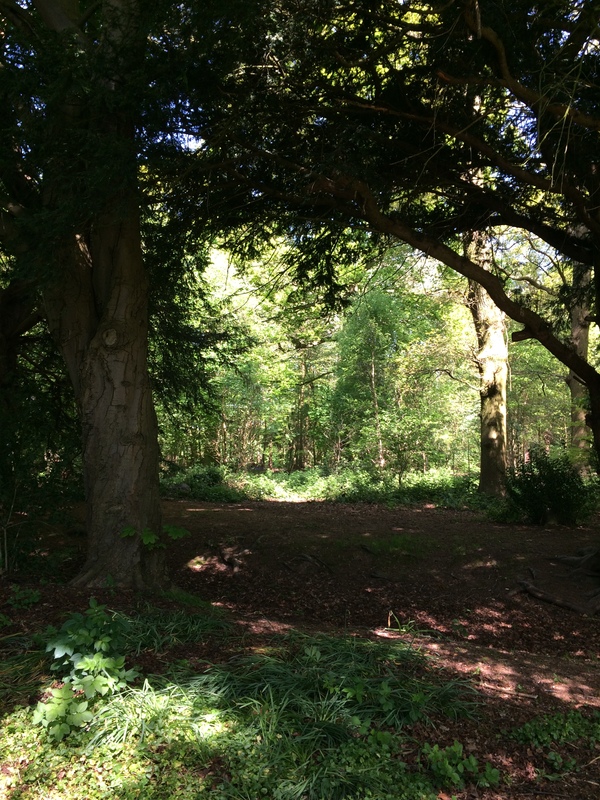 ‘Rhythm Dance’ – We need to work within our natural rhythms of rest and activity. To prime Creativity, what’s needed is a rhythm dance of intense focus, followed by restful incubation (daydreaming). Focus … daydream …. Focus …. incubate. Creative work (it turns out) grows best from a bedrock of quiet, non-focused contemplation. 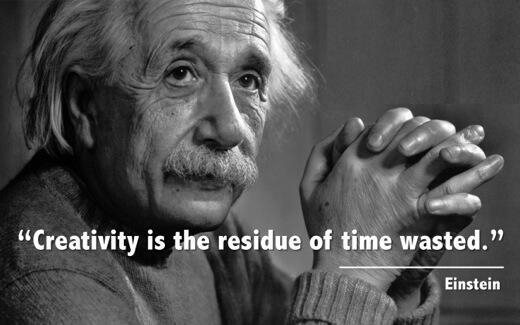 As creative introverts it seems we NEED to ‘waste’ time. This can’t happen when we’re in the arena. We need to protect slack time, “wasted” time. That’s where we ‘grow’ ourselves, and every dream, idea, theory or work of art flows from this. It’s when I’m pottering, idling along, walking the dog, taking a bath, peeling potatoes that the creative whisper comes. Or maybe I’ve just got quiet enough to hear it. So let’s stand in the gap and protect “wasted” time. Schedule it into our diaries and give it as much importance as committee meetings and doctors appointments. Don’t kill your creativity on the busy altar of Productivity. Learn to lay out the quiet ‘Welcome’ mat instead. Don’t know about you, but I’d be happy for a few angels to stop by every now and then…. When Breaking Rules is good for the soul …. Are you feeling discouraged (adrift even) at the start of 2017? For many, the world may feel a little less safe, a lot more unpredictable, uncharted even, as we navigate into this new year. At the start of 2016 I posted ‘On the Road Not Taken’, where I looked at the regrets we might feel for the choices we didn’t make in 2015. It seemed to resonant with many of you. I still feel it’s relevant. But then along came Brian Gresko’s article ‘In Defense of Small, Quiet Accomplishments’ on the Quiet Rev website. I read it and my heart sang! Please, quiet people, make yourselves a hot drink, find a cosy corner and read it. It’s warm, human, wise – life as we know it. And it really made me think. It made me think about where we get our validation as introverts. It made me realise that SOME RULES ARE THERE TO BE BROKEN! That we don’t match up to the shimmering icons of cultural success that trumpet everywhere from social media outlets. He tells of how those messages (if we let them in) can bring us down, make us doubt ourselves, sap our confidence, when we’d previously been content living a life of serene and quiet triumphs. Marching to our own particular drum. When my children were young we were living on a church pastor’s salary. A little had to go a long way. 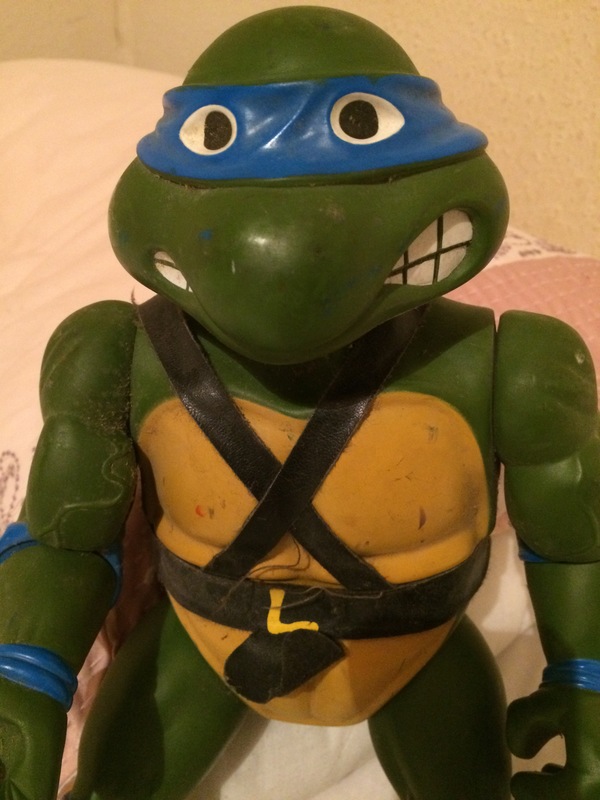 I still remember our ‘Hunt for Leonardo’ (hero turtles first time round anyone?) and the hours I spent trekking the stores, (pre-Internet), fearing that I would have failed as a parent if I couldn’t get the wretched little green amphibian for my son! A lovely friend managed to track one down from the States. It was 20x bigger than the ones in our stores, but at least it was a hero turtle. And, as in Brian’s story, our son was just as thrilled with the many humbler gifts he received. How do we defend ourselves against the temptations to compare and feel demoralised? How do we get back to feeling good about the counter-cultural way we do life as introverts? Brian’s article resonated with me, because I know I’ve felt like that, but it also made me think about the times when I’ve managed to shut the door on those destructive voices, and found my composure again. It made me stop and think about how I got back to my happy place again. So, here’s a story for you …. 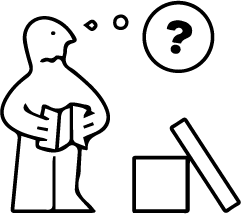 it’s the story of ‘My Flat pack Furniture Disaster’. Believe me, it’s relevant! (and more than a little embarrassing). I’d just moved to London for my first job after uni. First flat, first pay cheque, first flat-mate, and now : first furniture (Flat packed. Cheap). My flat-mate and I were trying to be two independent career women not in need of ‘a man with DIY skills’. We laid out both sets of flat pack furniture, instructions and screwdrivers and set to work. Everything seemed to be going well. Some of the wooden pieces needed extra brute force to fix together, but we put the difficulty down to being weak and feeble women! Wrong on so many levels! When we finally looked up amidst the forest of wooden pieces at the half-assembled bookcase and chair, it was obvious something was wrong. Our high-backed chair was decidedly lopsided and wouldn’t stand level. We got back to the drawing board. And there it was! Plain as day. We had confused a flat pack piece that should have been part of our bookcase for one that was part of the chair (in our defence, they were quite similar!). It was such an effort to fit the piece in, not because we were weak women, but because THE PIECE DIDN’T BELONG THERE ANYWAY! To put this woeful tale in context: all furniture is not the same. Chairs and bookcases are not put together the same way. All furniture doesn’t serve the same purpose. 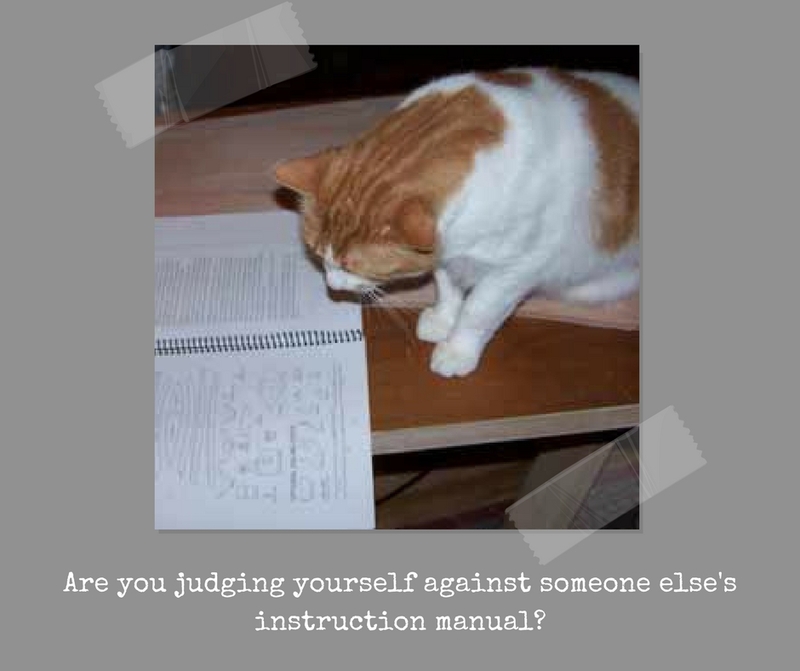 Are you judging yourself as faulty and lopsided against the wrong set of instructions? Someone else’s instruction manual! Studies show that introverts are motivated very differently to extroverts. Broadly speaking, extroverts work from extrinsic motivation (an inbuilt desire to seek external, visible indicators of success). Introverts are motivated more by intrinsic motivators (the acquisition of knowledge, the pursuit of a personal goal). Nothing right or wrong with either. Just different. So, believe me when I say there are some ‘rules’ worth breaking, worth ignoring. These aren’t the rules laid down in the statute books or in the 10 Commandments. (Best to keep these!). No, these are rules that are laid down in no legal document, but can be just as binding on our behaviours and attitudes. They are cultural and social ‘norms’ that we (often) unquestioningly accept, taking them in like the air we breathe, feeling governed (and evaluated) by them, though we may never have signed up to them! Unspoken rules like ‘being successful means having visible status : the big salary/house/car/following’ , etc. As quiet people, we really need to step out from under their tyranny. We need to stop feeling a compulsion to follow these rules, even if others do. If it’s not in our being to chase after them … then why should we feel judged and evaluated by them? Brian concludes that (when he manages to silence these ‘should’ voices) he’s actually pretty happy with his life and achievements… So how can we silence the voices…..? Well, this is what helps me. These are my 4 keys ( .. Allen keys if you like!) to getting my contentment back… They’re simple, but simple is often the best (and most overlooked) way. And they work. Recognise your own personal values. What really matters to you. Maybe you’re not the CEO of a big company by the time you’re 40 – but was that ever really important to you? Was that ever your goal, your instruction manual, or is its somebody else’s idea of success, that you’re allowing to judge you. Maybe your goal was more relational (but no less challenging) – to be the best dad or mum you could be, to develop your children, to work for justice in your community, to discover and live happily with who you really are. We choose goals that fit our values, our personalities and abilities, our priorities. My goals may not be yours. So let go of that judgment…. You haven’t won, but you may never have meant to enter that particular race. Stop comparing! You’re on your own journey. All that really matters is how you’re doing with that. Your map (and destination) are your own. 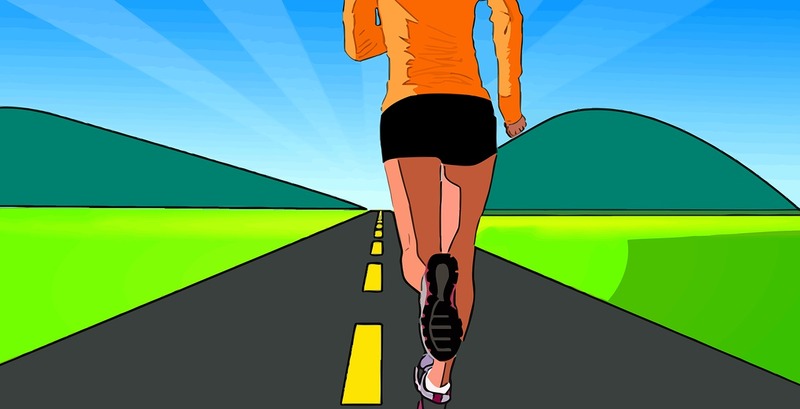 Those runners who turn to look at others as they run, lose their momentum. Keep focused on where you’re going. Have a social media fast. Honestly! What’s out there on social media isn’t real life. It’s everyone’s shop window, where we put our shiniest, best goods on display. You won’t often see folk parading their second-best, their failures, struggles or self-doubts. So don’t compare. It’s not real. It’s photo shopped life. Practise Gratitude. The sacrifice of gratitude delivers the simple gift of contentment. Not in a twee, Pollyanna-ish way… But when we give way to those siren voices of insecurity, envy and shame, we really do lose sight of all the treasures we already have. We may even lose them because we fail to recognise or cultivate them. A bit like Aesop’s dog with the bone. So, thank you Brian for the article. Thank you for reminding us that ‘a quiet life can be its own reward’. That really is something worth signing up for. It’s nearly Christmas! Time for mulled wine, mince pies, twinkling lights and time to retell the greatest story ever told – the coming of the child who is King and Lord of all. As a child, I loved stories. I still do. ‘Story’ was the most exciting word ever – more than toys (or Christmas) or sweets! I loved new stories, especially stories about overcoming incredible odds. (‘The Silver Sword’. ‘The Incredible Journey’). 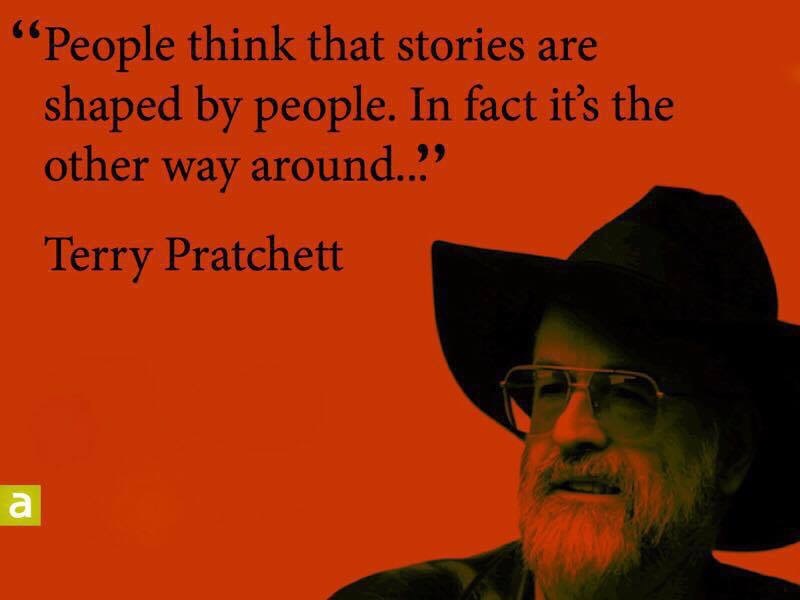 There is a ‘right story’ about each of us…. The stories we hear about ourselves when young, in some sense define us. They may inform who we then become. If these stories major on problems and weaknesses, (without the story arc that ends with overcoming) … then ‘our story’ can become a damaging road map. 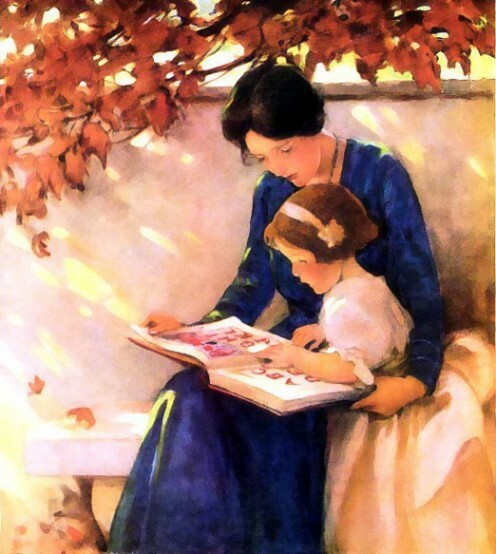 Sometimes the stories we inherit are just plain wrong, and we need to stop living from them, and learn a new story. A redemption story. So, I’m going to say a bit about my story…. The one I inherited, and how I had to re-write it. Most of my life I’ve believed there was something intrinsically wrong with me. Not physically – but something wrong in my brain, some ‘glitch’ that meant I took things in too slowly. Took too long to learn and process things. I believed I had a ‘stupid gene’. When I was eight years old, I was pulled out of my school class to be assessed by the first of three child psychologists. Up until this point I had been fairly happy at school. I was quiet, a bit of a daydreamer, but I had friends and I liked sitting with them up against the playground fence and making up stories. I was doing ok (or so I thought). Then they rolled in the first child psychologist. I remember that he wore a dark suit, and looked a bit like a crow. I felt scared. He asked me the difference between 18 and 30. I told him that they were two different numbers (astonished that he didn’t seem to know!). It didn’t go well from there…. My parents were called in, told I ‘wouldn’t amount to much’ and that the school would be moving me to the ‘remedial stream’. (It was called something more brutal back then). They moved me the very next day. I stopped talking, curling back in on myself. Suddenly, the world seemed a frightening place, where I had no voice, no control, except to remain silent. So I did. I was saved only by the fact that my parents refused to believe what they were told without a second opinion, so they engaged two further sets of psychologists – nice, friendly ones this time. I remember going to be assessed at an old red-bricked Georgian house, windows festooned with copper-red Virginia Creeper, manfully trying to grow through the cracks in the brickwork. I liked this psychologist. He pretended to sharpen his finger in the rotary pencil sharpener on his desk. I asked whether the Virginia Creeper was really a triffid. (I’d heard ‘The Day of the Triffids’ on the car radio). … Less pressure to perform. … Less competition to be heard. I was enrolled in a small village school, and so began the long journey back to confidence, hugely helped by the quieter, smaller environment and some focused attention. I began to succeed, more than succeed. I did very well. My confidence grew, and I found out, when the pressure was off, that I loved to learn. However, what never left me, all the way through high school and university, and on to work, was that gnawing, malignant fear, that one day, that as-yet-undiagnosed flaw would re-emerge, and I’d be exposed as a fraud. I believed that I had to work harder than everyone else, not to do well, but just to keep up. If I slacked off, I’d be back there in remedial, where no one could hear me scream. Any love of learning was almost sucked dry by performance anxiety and drivenness. I didn’t know this poisonous cocktail of feelings had a name. It was years before I heard of Imposter Syndrome. I assumed everyone else felt as confident as they seemed. Shame meant I kept my feelings hidden. My confusion and lack of confidence around my own ability meant that despite gaining a 1st class Honours degree, and even being offered an Oxbridge scholarship, I walked away from many opportunities I might have had, because my ‘story’ told me they weren’t for me. I’d always wanted a family, so when my children came along, I threw myself happily into a world filled with dressing up boxes and kiddies’ stage plays, trips to the library and museums, morning swim times and kitchen tables covered with craft glue and tissue paper. It was my safe place, as well as theirs. When my quiet daughter started school, my safe haven fell apart. Almost from the start, I was having to defend her right to be quiet and still be ‘OK’. I was constantly having to reframe stories of her as ‘withdrawn’ and ‘uncommunicative’ in terms of her need to have quiet, uninterrupted thinking time; space for her imagination to work amidst the hubbub of the classroom. Almost from the start, marched in the recommendations for assessment: Maybe she had hearing problems? Maybe she suffered from petit mal or some form of autism? I fielded them all, inwardly screaming. Outside of school, she could be deliciously quirky and funny, sensitive and perceptive. Inside school, these ‘queries’ made her uncertain of herself. I found myself looking backwards into a mirror. I knew I was losing perspective. Plunging into a dark, familiar place. I found a good counsellor to talk to, who taught me that my fears were ‘phantoms’ from my own past, that my daughter was NOT me, she was her own person and that in any case she had me and others to lead, guide and protect her, should she need that. I had to deal with my anxiety so that I didn’t contaminate her with it. That, of course, was just the beginning. My daughter (and my other children) have grown up to be strong, loving and (it seems to me) fearless and assured adults. What my daughter and I have in common is that we are both introverts. Not always quiet, or necessarily shy. Certainly not anti-social. But often observing life from the sidelines first before we plunge in. I was no stranger to introversion. I’d done Myers Briggs. I thought I knew all there was to know about introversion and its ramifications. But I was wrong. Recent findings in neuroscience research, cited in Marti Olsen Laney’s ‘The Introvert Advantage’ reveal that the differences between introverts and extroverts are not simply at the behavioural level. They are hard wired into our brain circuitry. Introverts ‘need to reach back into long term memory to retrieve information. This requires reflection time without pressure’, because we use a different neurotransmitter to extroverts (acetylcholine rather than dopamine) and this requires a longer neural pathway. Introverts then (particularly right-brained introverts) can seem, on first acquaintance, slow. Stupid even. I know now that as an introvert I am hard wired to need time to process information. That and the tendency to shut down when overstimulated or in noisy environments, daydreaming and being often content to sit back and listen provided the perfect storm of symptoms that set the wheels in motion for a psychological assessment that pathologised my introversion. I’ve made peace with myself now. There is no undiagnosed fatal flaw. No longer will I let others’ stories of me define who I am, however ‘qualified’ they may be. I’ve learnt (like my granddaughter) to choose the ‘right’ story…. My story. 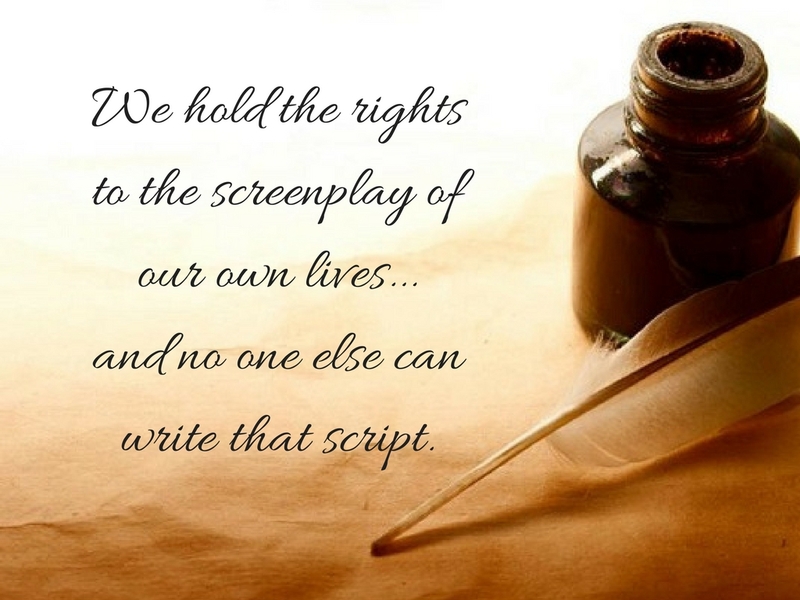 We hold the rights to the screenplay of our own lives, and no one else can write that script.